The culturally rich land of India, produces various festivals on its soil. To experience each of them is like living a hundred lives in one, they are that diverse in their essences. 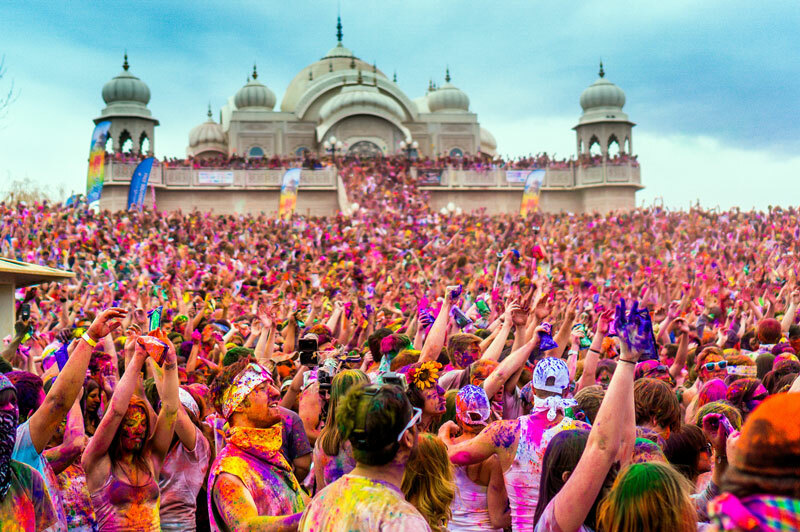 Nevertheless, the beautify of India is magnified by these festivals, so be sure to experience at least these 15 prominent ones, to mark not just your calendar, but your life with their names. This pan Indian festival, famous for lighting up our lives, Diwali is joyously celebrated globally now. Sending a powerful message of the triumph of good over evil, the festival is celebrated in every nook and corner of the country. People enjoy the festival of lights by beginning the day with an auspicious pooja, followed by welcoming the night with new traditional clothes, sweets and glowing deeyas. 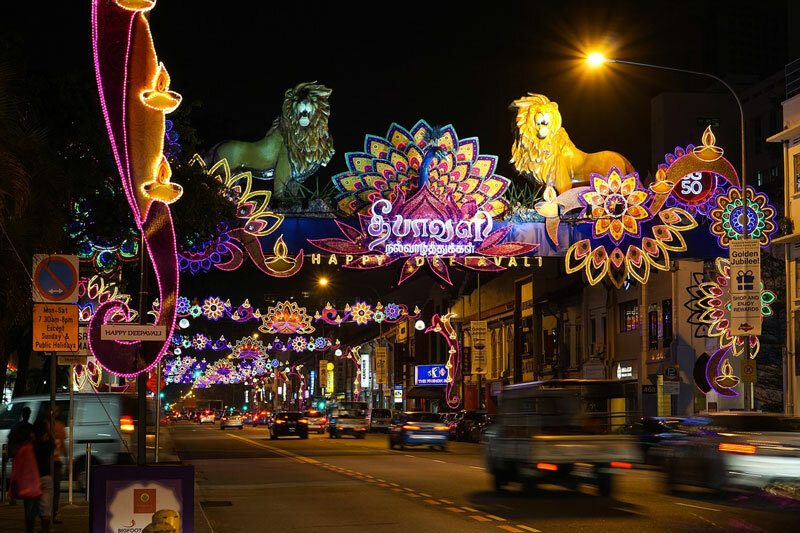 The houses are decorated with garlands of electric lights and colourful rangolis. Ignite the light of brotherhood and goodness in you being through the festival of Diwali. The Pandora box of wholesome fun and good natured pranks characterise the atmosphere in the colourful festival of Holi. This festival is also slowly gaining popularity in the global sphere. Holi is celebrated by throwing and applying colours on each other, in myriad hues of jubilance. The festival is even played by throwing and splashing water on each other, via a friendly weaponry of water guns and water balloons. Immerse yourself in the pinks, greens and reds of Holi, and forget all your blues for this day. The birth of Jesus Christ is celebrated with ecstatic merriment and wonderful joy, throughout India. The warm smell of walnut cakes can be inhaled in every household. As if captivated by a confetti of Santa caps, Christmas sees the prevalence of these caps and reindeer headgear decorating the heads of civilians. 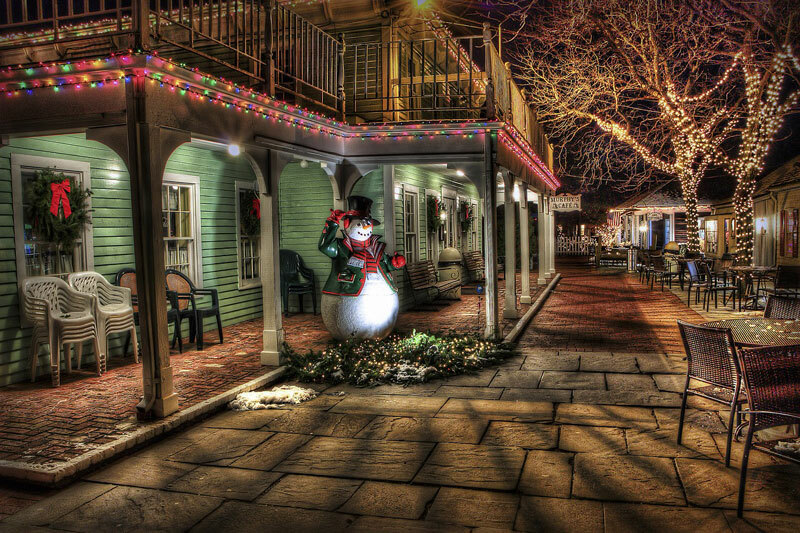 Many people decorate Christmas trees in their homes with colourful stars and hanging balls. People also visit the Church to seek the holy blessings of Christ on this auspicious festival. 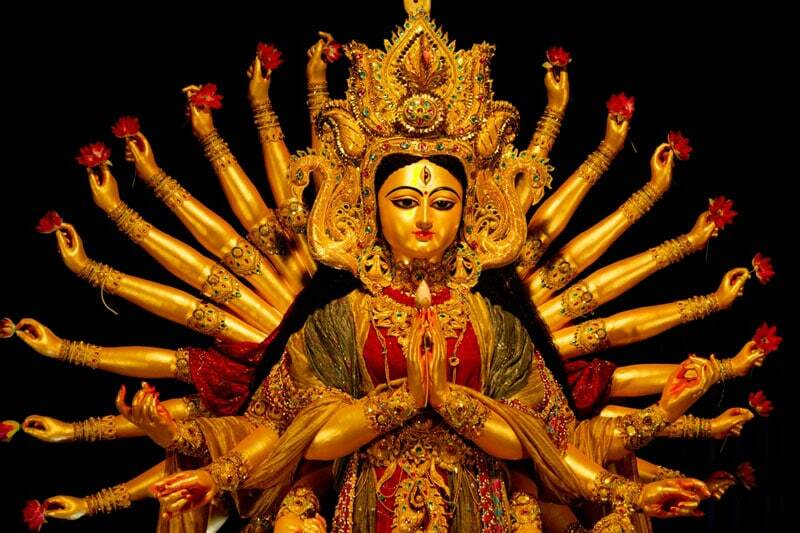 The culmination of the 9 days of Navrati, end in the 10th day of Dussehra. The key attraction of this festival is the burning down of the effigies of Ravan and his two brothers, symbolic of when Lord Rama destroys Ravan in the epic tale of Ramayana. The effigies are filled with firecrackers, resulting in a cacophony of loud sounds as the entire- almost 100 feet high- structure breaks down. This is followed by even loud cheers from the crowd, that celebrate the symbolic feat. At some places, the days following up to Dussehra are marked by portraying the entire Ramayana through street plays called Ramlila. 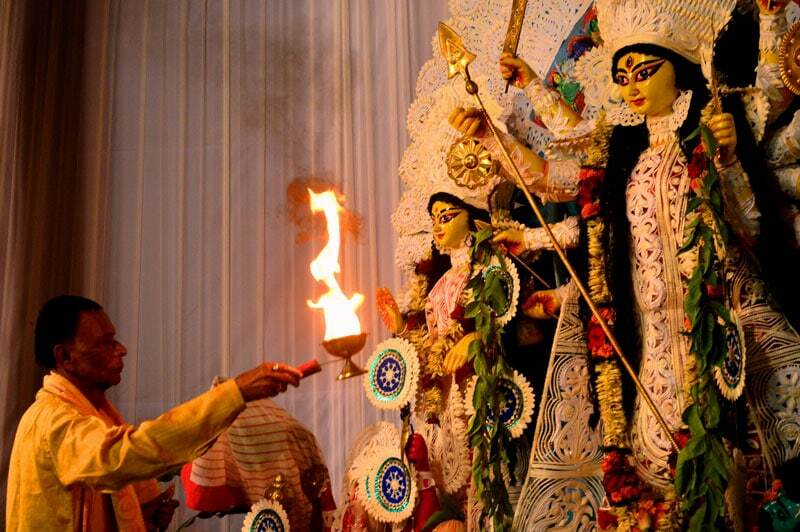 A festival celebrating the powerful Goddess Durga, Durga Puja is a major festival for the Bengalis in India. The colourful and high energy festival is celebrated by decorating huge pandals, in the middle of which a heavily decorated idol of Goddess Durga sits. The festival is marked by a lot of dancing, singing and wholesome enjoyment. Celebrations of Durga Puja in Kolkata is a can’t-miss sight, it is really a lifetime opportunity to witness a festival in the heart of its existence. The revered Hindu God, Lord Krishna’s birthday, is celebrated as Janmashtmi prominently in North India. 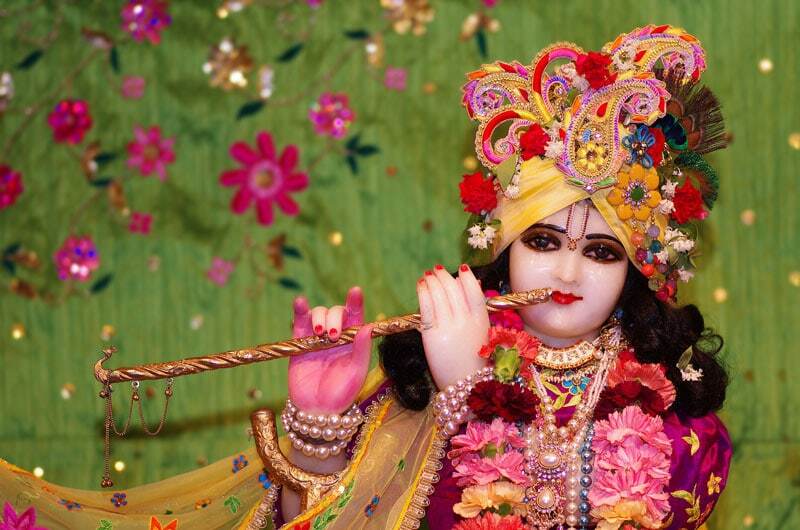 However, the main festivities take place in Vrindavan and Mathura, the birth place of Krishna. Here, the temples are filled with throngs of people, fasting on this auspicious day and waiting for the temple priest to reveal the Krishna idol at the exact time of his birth. Elsewhere, the festival is celebrated with much gusto, with programs in the local community dedicated to the life stories of Krishna, depicted in an artistic manner. 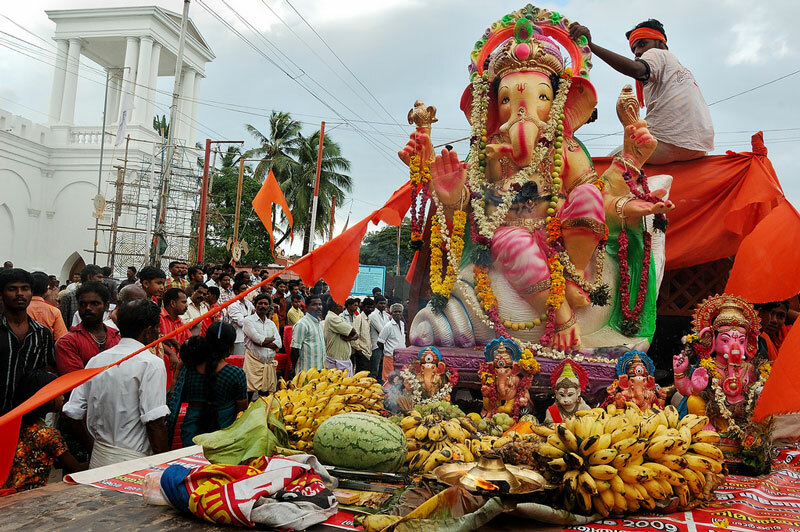 Prominently celebrated in the state of Maharashtra, the festival of Ganesh Chaturthi is the exemplar of a culturally charged environment. The festival spans over a period of 10 days, the last of which is marked with the maximum amount of revelry. Humungous idols of Lord Ganesha are carried to the sea shore for the procession of Visarjan, immersing the idol inside the water body. The walk from one’s home to the sea shore is filled with a rich amount of dancing and singing. Eid-Ul-Fitr is a major festival for Muslims in India. The festival is marked by people visiting the mosque for an auspicious prayer, wearing new clothes and preparing delicacies like sewainyan to be savoured. Children are given idi, a small token of money as a gift and relatives exchange sweets and gifts with each other. It is a festival that celebrates brotherhood among humanity. 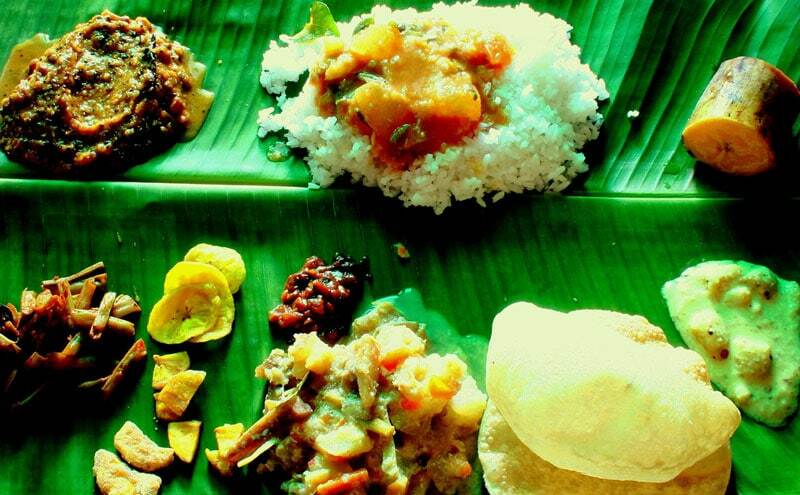 An important festival of Kerala, the festival of Onam is a very colourful affair. People celebrate by decorating their house with various floral arrangements and woman wear the gorgeous white and golden border sarees. The festival is marked by Kathakali dances and theatrical plays of artist dressed as tigers and hunters. 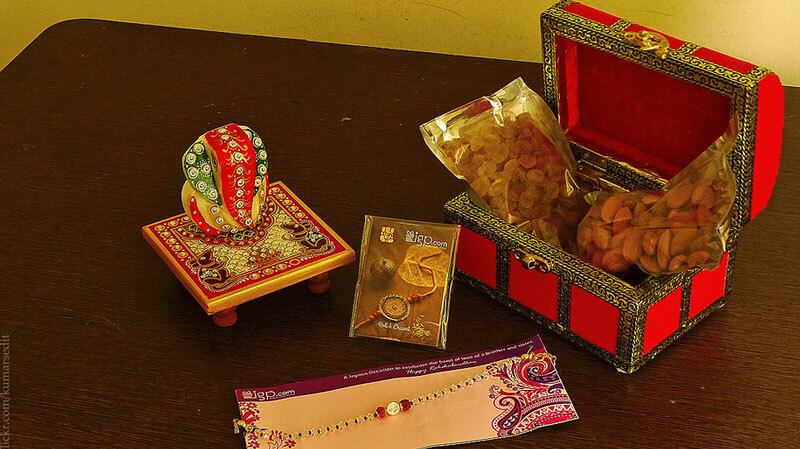 Raksha Bandhan is a festival celebrating the eternal bond of brothers and sisters. In this festival, sisters tie an auspicious thread to the brother’s wrist, as a symbol of protection, that the brother bestows on her. In return, the sister receives varieties of gifts and goodies from her brother. People dress up in fine clothes and eat traditional sweets during this festival. 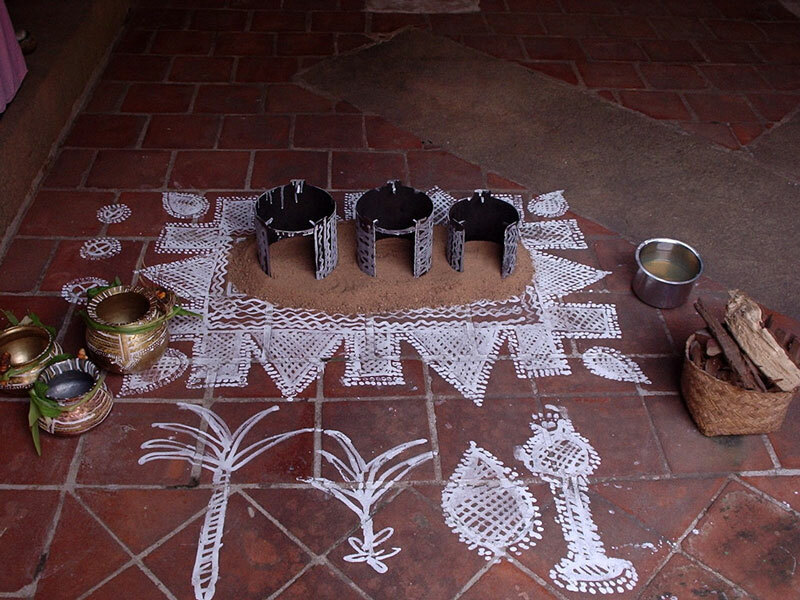 A harvest festival, Pongal is a popular festival in south India. The festival is celebrated in a traditional costume, through dances, bonfires and songs of celebration. People even decorate their homes with beautiful rangolis, using coloured rice and power petals, symbolising the nurturing harvest produced by the farmers. 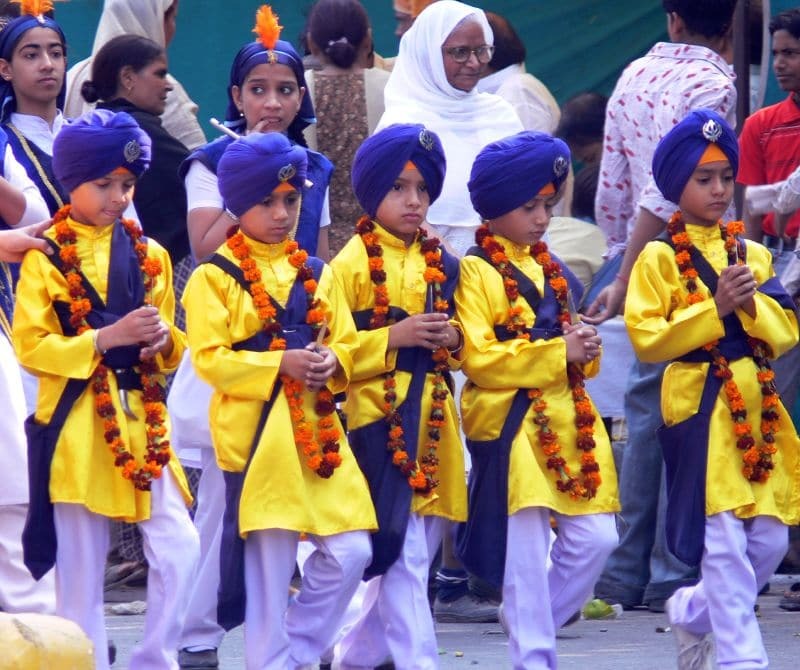 Celebrating the birth anniversaries of the Sikh Gurus, Gurupurab is an important festival for the Sikh community. Gurdwaras are lit up in a spark of love and humanity. Kadha prashad, a sweet and holy dish is served at langars and people even burst crackers in the night to celebrate Gurgupurab. Shivratri, translating to the night of Shiva is a Hindu festival dedicated to the destroyer, Lord Shiva. 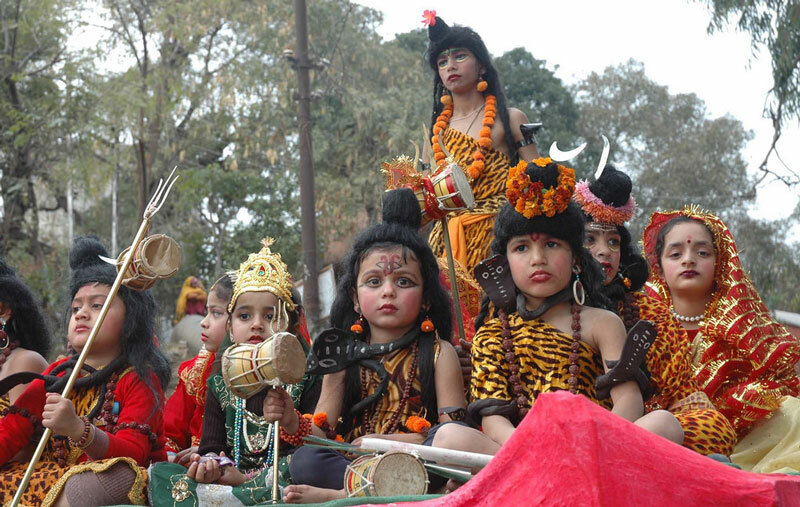 In this festival, people visit Shiva temples and pray and chant auspicious hymns. 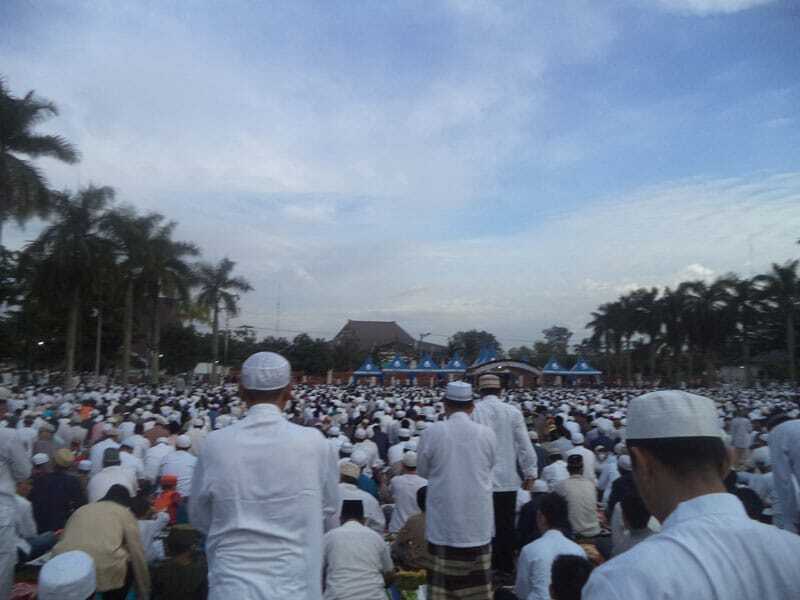 Some people even fast the entire day to show their devotion to the Almighty. Maha Shivratri is marked by devotees flocking Shiva temples and revelling in the radiant aura of the great Shiva. 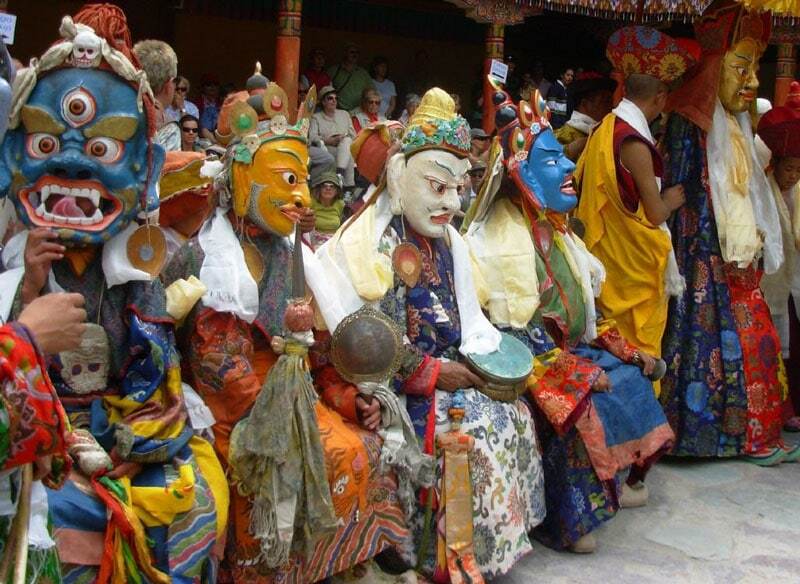 It is an important two-day festival in the lovely landscape of Ladakh. Hemis festival is marked by a plethora of activities, including traditional dancing in traditional costumes, that attract many tourists from all over the world. It is celebrated to mark the birth anniversary of the founder of Tibet Tantric Buddhism. A harvest festival of North India, Lodhi is a lively festival celebrated with warmth and harmony. The festival is meant to celebrate the winter harvest in January. 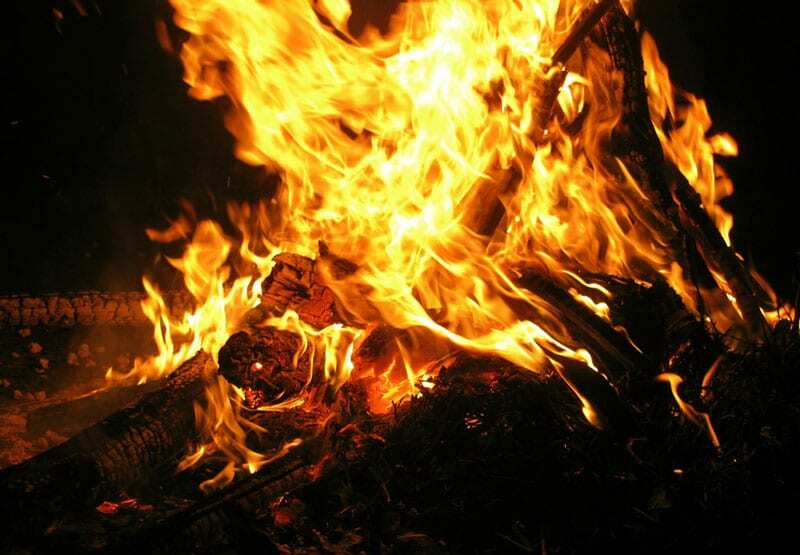 It is enjoyed around a warm bonfire at night, where people eat popcorns and peanuts, basking in the fire and the love for each other in this glorious festival. Celebrate the various hues of India through the prism of festivals by celebrating each of these- with full enthusiasm and jubilance!